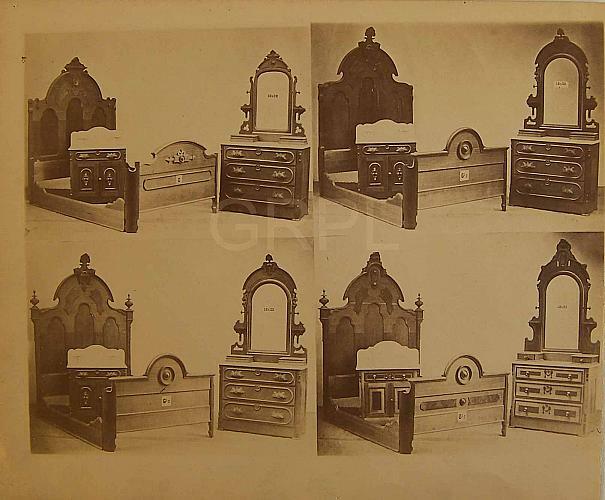 Four examples of three-piece bedroom suites are shown. 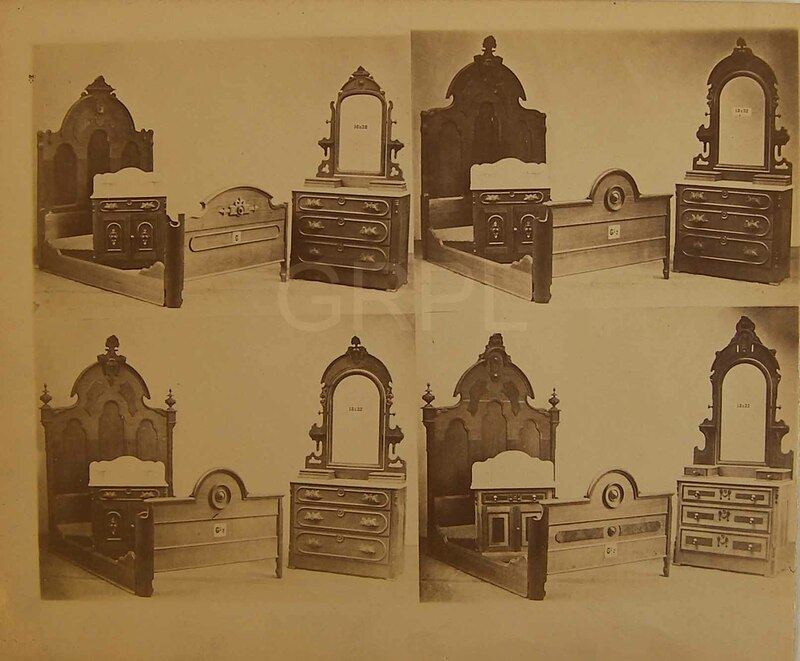 Each bed has an elaborate wooden head and foot board with carving; each three-drawer dresser has a mirror, and three of the four dressers have carved pulls on the drawers; sitting within each bed frame is a washstand with a top and backsplash of marble. Furniture catalog page, 6" X 8"
Title by cataloger. A page from the Nelson Matter Company 1873 sample book. O. W. Horton most likely the photographer. Information from the Weekly Artisan, July 31, 1909, page 17, provides a variation: "Elias Matter, one of the founders of the Nelson-Matter Company, Grand Rapids, is said to have been the first furniture manufacturer to equip his salesmen with photographic samples and thus save the expense of making the miniatures, but he did not really originate the idea. While in Jackson, Michigan he met a man who was taking orders for baby carriages using photographs as samples and on reaching home he immediately engaged a photographer and set him to work making pictures to be carried by the Nelson & Matter salesmen." Probably the photographer engaged was O. W. Horton.